OPI participants work with our individual psychotherapists and psychiatrists. By having the opportunity to explore and understand their internal thinking processes and feelings, our participants learn to use these insights to achieve the real life objectives they set for themselves here. We integrate evidence-based psychotherapies into our therapeutic repertory including Dialectical Behavioral Therapy and Mentalization Techniques. Professionals from McLean Hospital/Harvard University and UCLA have trained our staff at OPI. Individual psychotherapy is when you and a psychotherapist have private sessions. It is different from group or family therapy in that it is just the two of you. This can make for very personal or intense sessions, since you, as the patient, may not feel compelled to censor yourself as you might in the presence of family members or complete strangers. Individual psychotherapy also allows your therapist to ask more detailed and focused questions than he or she might be able to in a setting where others are present. This could be because a therapist’s attention has to be divided between the patients, or the therapist has to be cognizant of the emotional and mental states of any family members who are part of the session. In a one-on-one session, however, there are no distractions or competing perspectives. This can allow both you and your therapist to address issues more deeply and intently. 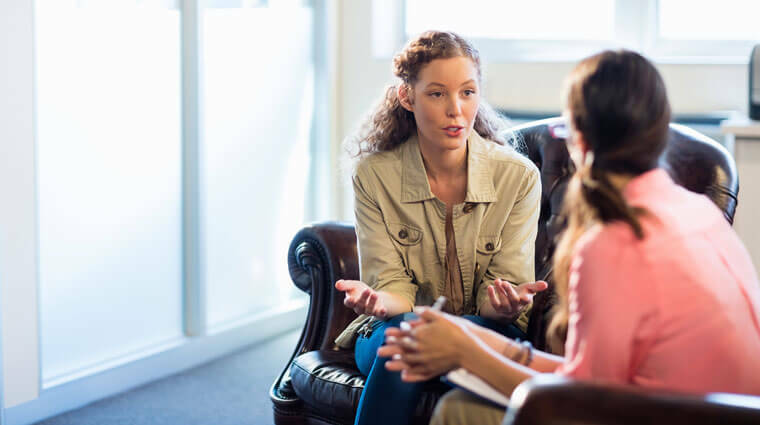 Psychotherapists are often people who have a strong desire to help others, especially when it comes to providing a sympathetic but discerning ear. They combine this drive with a solid education in psychology, which allows them to base their treatment plans on established and professionally sound precedents. The educational requirements for psychotherapists vary by state. While some states will not issue psychotherapy licenses to people without a doctoral degree from an accredited university, all states require at least a master’s degree in counseling, social work, clinical psychology, or a related field. People who want to practice professionally have to undergo rigorous training and testing before they are ready to work with patients. What Is The Goal Of Individual Psychotherapy? One of the aims of psychotherapy is to devise a plan for you to overcome whatever challenge you are facing so you can get your life back on track. If you are struggling with a mental health disorder or the aftermath of a drug addiction, there is nothing that can completely remove those things from your life, and psychotherapy is no exception. That said, a therapist will work closely with you to devise some unique and proactive strategies to manage and control the effects in your day-to-day life, both in the short- and long term. This is not something that can often be done as effectively in a group or family therapy session. At the conclusion of therapy, you will not only have learned how to cope with the issue that initially brought you in, but you will also be able to head off future challenges as well. Sometimes your resolve may weaken, and you may fear that you will relapse into your addiction or give in to the mental health condition that brought you to psychotherapy in the first place; however, your psychotherapist will be aware of these concerns and introduce you to ways of thinking and behaving that will safeguard against negative temptations and emotions. Identifying and eliminating harmful thought processes and behaviors and replacing them with more positive and beneficial approaches is known as cognitive behavioral therapy, or CBT. CBT is very commonly used in therapy. A trial with over 400 patients suffering from depression showed that CBT and depression medication considerably reduced symptoms of depression in patients. Combined with the dialog-driven nature of individual psychotherapy, CBT allows you and your therapist to delve into what you typically experience and feel that would trigger the craving for drugs or trigger an attack of anxiety or depression. Then, your therapist will suggest ways to help you pinpoint and then break the patterns and habits that you’ve come to associate with your destructive behavior. Individual psychotherapy will give you news ways of responding – by way of thoughts and actions – to the stressors and stimuli that would have derailed you before you started therapy. A therapist’s job is to give you the tools you need to start living healthfully again, so he or she will likely suggest decreasing the frequency of your sessions if you show concrete improvement over a set period of time. The parameters for what constitutes improvement should be set out when you begin your therapy, but they should not be binding; that is, if you don’t respond to the initial therapy, a new plan may be needed, and thus your individual psychotherapy will last longer. But if you notice that you’re not as stressed or anxious as you were, you’re not constantly fearing the possibility of a drug relapse, or friends and family consistently tell you that you seem happier and healthier, these are signs that your therapy is working. Many individuals continue with regular therapy sessions for years, decades, or even for their entire lives as it helps to maintain a sense of balance and wellness in their lives.